Have you recently become injured or ill during your job? 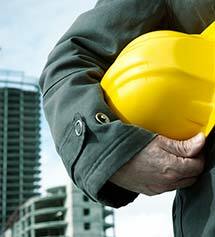 The good news is that you are most likely covered under worker’s compensation insurance. However, there are some exceptions. The workers compensation attorneys at Foster & Harmon have put together some help tips to know when filing for workers compensation. Generally, if you get injured on the job or become ill due to your job, you are able to file for workers compensation benefits. These benefits pay for your medical care, rehabilitation and some of your wages from missing work. But getting these benefits is not always easy, even if you think you have a legitimate claim. If you wait too long to file, your employer's insurance carrier may not believe your claim is legit. And if you do receive a workers compensation package, it may not be enough. If you aren't happy with your package, your ability to sue is usually limited. This is when our worker's comp attorneyscan be useful in your appeal to the state workers compensation board. Our workers compensation lawyers are here to help you in every step of the process. But before you do anything, here are 5 things you should know about workers compensation. There are two deadlines you have to meet if you want to win workers compensation benefits. The first deadline is for notifying your employer of your injury. The second deadline is for filing the claim. Check your state’s rules for workers comp claim filing deadlines. In the event that your employer tries to fight your claim, one of your best weapons is having good documentation of your injury and treatments. This includes having all your medical records for your injury. There is a coming and going rule, which states that injuries received going to and from work are not covered. But, injuries received while running errands for an employer or transporting goods during your job are covered. If you think your claim might be challenged by your employer or the insurance company, contact us. Our worker’s compensation attorneys will make all the difference in your appeal. And remember, should you win your claim, those salary benefits will be tax free! For more information or to get a free workman's comp consultation from one of our Lansing worker's compensation attorneys, contact us at (517) 337-4600.